Champions are essential to the MEDNAX HRO Program. They serve as the central figure at a practice to lead and maintain quality and safety initiatives locally. For American Anesthesiology of Maryland, that person is Christopher Reed, MSN, MPH, CRNA. With 13 years in nursing, Reed is a certified registered nurse anesthetist (CRNA), a former pediatric intensive care unit (PICU) nurse and most recently named Director of Quality and Patient Safety for his practice. A fourth-generation nurse, Reed first studied business and environmental sciences before pursuing nursing. In addition to the clinical side of health care, he had an interest in leadership and management, hoping to someday become a health care executive. Nurse anesthesiology was never on his radar. It was a nursing instructor who gave Reed an essential piece of early career advice: “She told me having ‘BSN’ or ‘RN’ after your name doesn’t mean anything without the experience to back it,” said Reed. Inspired by the clinical path of that instructor he admired, Reed took a similar one. He was a PICU nurse for more than two years before joining the pediatric critical care transport team, where he stayed for three additional years. In this role, he was exposed to the Operating Room, working alongside anesthesiologists and CRNAs. 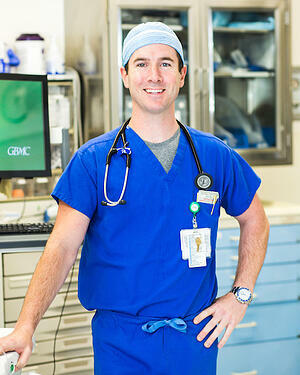 Anesthesia care slowly became Reed’s next passion in clinical care. After earning master’s degrees in nursing and public health, Reed began his master’s training in nursing anesthesiology. In 2014, he joined American Anesthesiology of Maryland, a MEDNAX affiliate, as a CRNA. Reed loved the clinical side of his work but remained interested in ways to grow as a leader. His active pursuit of this ambition soon aligned with the goals of the practice. American Anesthesiology of Maryland completed MEDNAX HRO training in 2016, but the full potential of the program had not yet been realized. The practice knew a quality improvement lead at the local level could support engagement and help the practice enhance the excellent care it already provided, said Reed. “My leadership team was pleased with my clinical performance and recognized I wanted to do more.” In January 2019, the practice chose Reed as its first quality and patient safety director. Reed’s business background, along with his current MBA training, makes him uniquely qualified. The elements of the HRO Program — the Reporting Culture and Just Culture, the empowerment of all team members to speak up — these are essential to providing safer care. To achieve these goals, all members of the OR must work as a team, said Reed. And successful teamwork requires effective communication. 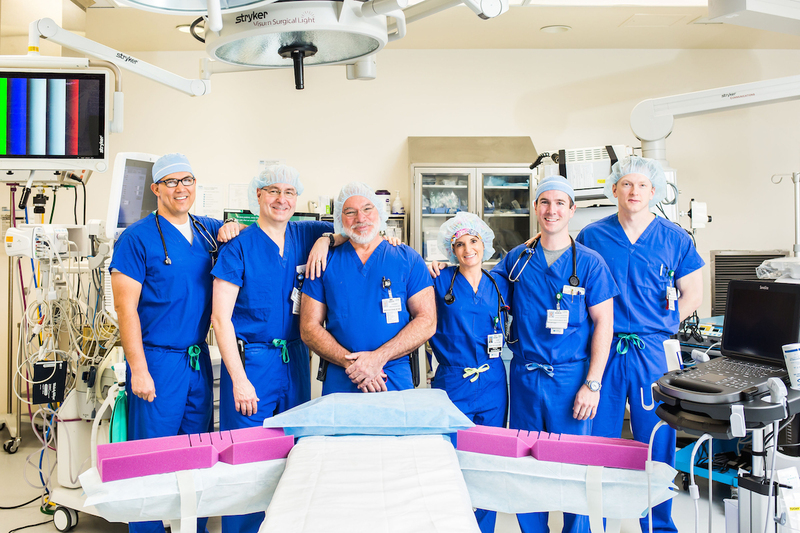 “But communication and teamwork can be challenging in surgery because it’s a group of highly intelligent and talented people who have been trained in isolation,” said Reed. And unlike business, medical and nursing education often lacks cross-disciplinary coursework and training in soft skills. “Yet these professionals eventually work together in an integrated workplace and are expected to seamlessly perform as a team,” he said. Reed’s new position affords him ample non-clinical time to focus on administrative and leadership responsibilities, during which he actively strengthens relationships with his hospital colleagues, brings national initiatives to the local level and advances the practice’s patient safety and quality improvement programs. He also represents his practice on hospital quality and safety committees and meets regularly with a multidisciplinary team of perioperative leaders. That’s the value of a local HRO champion. The champion is the person on the ground, face-to-face with the clinical team — the colleague who is available and has the passion to help the entire team achieve the demands of patient safety and quality improvement. To encourage use of Clinical Safety App at his practice, Reed provided brief re-education at a staff meeting. “Then I made a promise. I vowed to our nearly 60 providers that if they took the time to put information into the app, I would respond to each submission in a timely manner, with an action plan to resolve the issue.” He also promised to act upon those plans and share the outcomes. His efforts have increased utilization to 95 percent in just two months. Reed is eager to continue to shape his role, with a long list of goals ahead of him. He is also grateful for the support MEDNAX and his practice have shown to help him achieve great things — including certifications and continuing education opportunities specific to quality and safety.